BMW Approved Cold Weather Tire Packages. At 7°C, summer tires and all-season tires begin to lose traction. BMW Approved Cold Weather Tires have been specially designed to perform where other tires cannot. 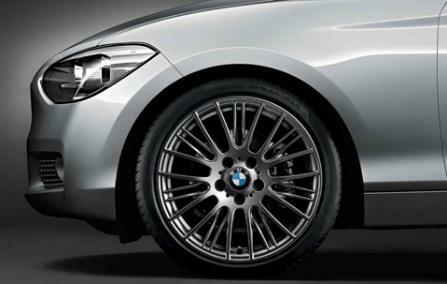 Increased safety without compromising BMW’s signature, sporting style is what you can expect. Equip your BMW with a BMW Approved Cold Weather Tire Package so that you can stay safe on the road and embrace all that winter has to offer. By submitting your email address or phone number, you allow us, BMW Autohaus, to include you on our contact lists to send you information about our products, services and promotions. You may revoke consent at any time by clicking on the "Unsubscribe" link in your email.